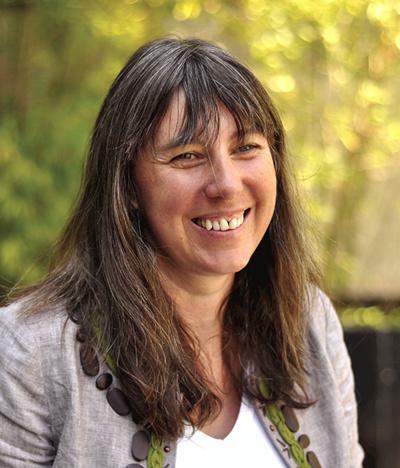 Professor Jane Hart is Professor in Geography within Geography and Environmental Science at the University of Southampton. Jane Hart is currently Professor in Geography. She has been a member of staff in Geography and Environmental Science at the University of Southampton since 1989. Vaughan-Hirsch, D. P., Philips, E., Lee, J. R., & Hart, J. K. (Accepted/In press). Micromorphological analysis of poly-phase deformation associated with the transport and emplacement of glaciotectonic rafts at West Runton, north Norfolk, UK. Boreas. Hart, J. (1996). Subglacial deformation associated with a rigid bed environment, Aberdaron, north Wales. Journal of Glacial Geology and Geomorphology, 1(1), 1-18. [RP01]. Jones, A. P., Tucker, M. E., & Hart, J. (Eds.) (1999). The description & analysis of quaternary stratigraphic field sections. (Technical Guide; Vol. 7). London, UK: Quaternary Research Association. Hart, J., & Martinez, K. (1997). Glacial Analysis: Single User: An Interactive Introduction. (Routledge Interactive Learning Modules). London, GB: Routledge. Hart, J. K. (2008). Weybourne. In I. Candy, J. R. Lee, & A. M. Harrison (Eds. ), Quaternary of Northern East Anglia (pp. 182 -191). London, UK: Quaternary Research Association. Hart, J. K. (2007). The role of women in British Quaternary Science. In C. V. Burek, & B. Higgs (Eds. ), The role of Women in the History of Geology (pp. 83-96). London, UK: Geological Society of London. Bragg, O. M., Basford, P., Black, A. R., Bragg, G., Hart, J., & Martinez, K. (2016). Britain’s highest bog: can we unlock its secrets?. Paper presented at 15th International Peat Congress 2016, Malaysia. Martinez, K., Basford, P., De Jager, D., & Hart, J. K. (2013). Using a heterogeneous sensor network to monitor glacial movement. Poster session presented at 10th European Conference on Wireless Sensor Networks, Ghent, Belgium. Martinez, K., Basford, P., De Jager, D., & Hart, J. K. (2012). A wireless sensor network system deployment for detecting stick slip motion in glaciers. 14-16. Paper presented at IET International conference on Wireless Sensor Systems 2012, United Kingdom.